On February 11, in the Government House of the republic, First Deputy Prime Minister of the republic Rustam Nigmatullin, Deputy Prime Minister - Minister of Education and Science of the republic Rafis Burganov, Head of the Main Directorate of the Ministry of Emergency Situations of Russia in Tatarstan Rafis Khabibullin, Minister of Health of the republic Adel Vafin took part in an extraordinary meeting of the Commission of the Republic of Tatarstan on prevention and control of emergencies and fire safety. On Sunday, February 11, as many as 32 citizens of Arsk municipal region were hospitalized in Regional Clinical Infectious Diseases Hospital suspected of intestinal infection, these are 30 students of Kazanbashskaya general education school, one teacher of this school and one girl who contacted with her sister from this school. Tatarstan Minister of Healthcare reported that in Regional Clinical Infectious Diseases Hospital additional beds for hospitalization of children were put, a complex of medical and diagnostic measures is organized; clinical material for etiological interpretation of group morbidity is selected. Condition of the patients is assessed as stable moderately severe with improvement on the background of ongoing treatment. During the extraordinary meeting it was noted that all sick children ate in the cantreen of Kazanbashskaya school on Saturday. Head of Tatarstan Department of Federal Supervision Agency for Customer Protection and Human Welfare Marina Patyashina reported the team of specialists of the agency is working in the school. She stated that 80 per cent of all cases of intestinal infections are lack of proper control and violation of sanitary norms and rules. According to Patyashina, the staff of the food units is almost always the source of intestinal infections. 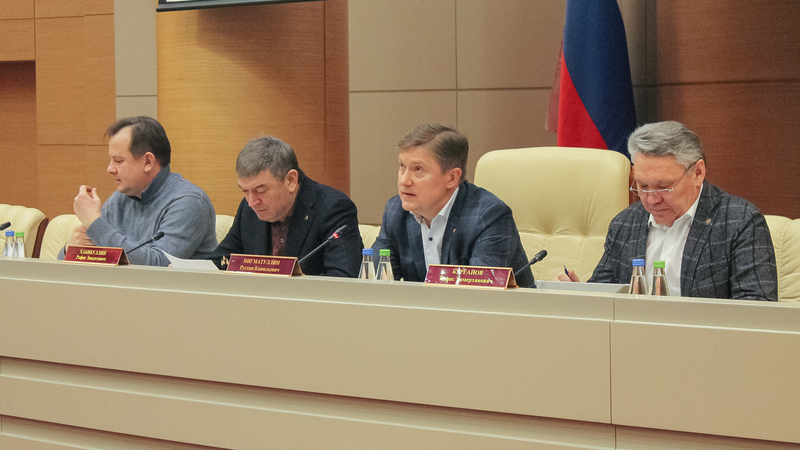 First Deputy Prime Minister of the republic Rustam Nigmatullin stated that the heads of the municipal regions of the republic should carry out reference checks of the kitchens’ work in general-education schools without waiting for official controls. Nigmatullin said that today, it is necessary to assess why the violation was committed and to take measures to avoid such situations. It is impossible to bring order without proper attention and responsibility, the principle position of the heads of each school and senior officials of the municipal regions is needed, he added.